Attached is a picture of SPF410 that was taken in Colorado. It was purchased from the Olthoff's in December of 1998 and currently has a little over 56,000 miles on it. The color scheme is Porsche Seal Grey Metallic with Titanium striping in the Willment Racing Team tradition to honour Bob Olthoff and his career with that team. I am the original owner and have always been extremely happy with my SPF purchase. I am 65 years old and still run it on the track at every available opportunity. It is truly my dream car. I always had an interest in Cobras and bought my first one as a direct result of Bill Wells recommendation. 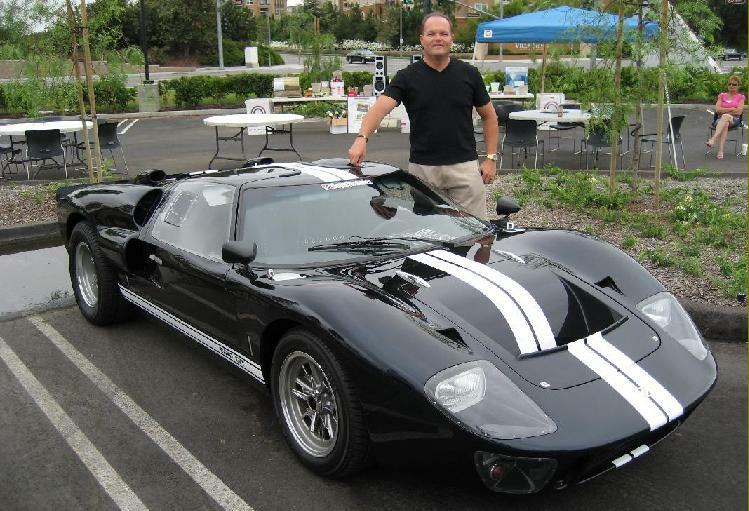 He was a fellow Ford employee and through his coaching I knew this was the car for me, my children and wife to enjoy on weekend outings. This is my second new SPF Cobra---I built on what I liked about my first SPF and purchased new due to the confidence in builder Craig Aylsworth at Craig s Cobras in Canton Michigan. After a test drive with a SPF on my vacation in Florida (a very gentle owner that I contacted before the trip invited me to visit him) I knew that this is really the car I was looking for. Back home I searched on the internet for dealers and found a used car at Dynamic Motorsports in Ohio. After several emails and phone calls I ordered the car. All I had were a few photos and the promise from Dean Rosen that the car is in great condition. Quite nervous I was waiting the container will arrive Switzerland. 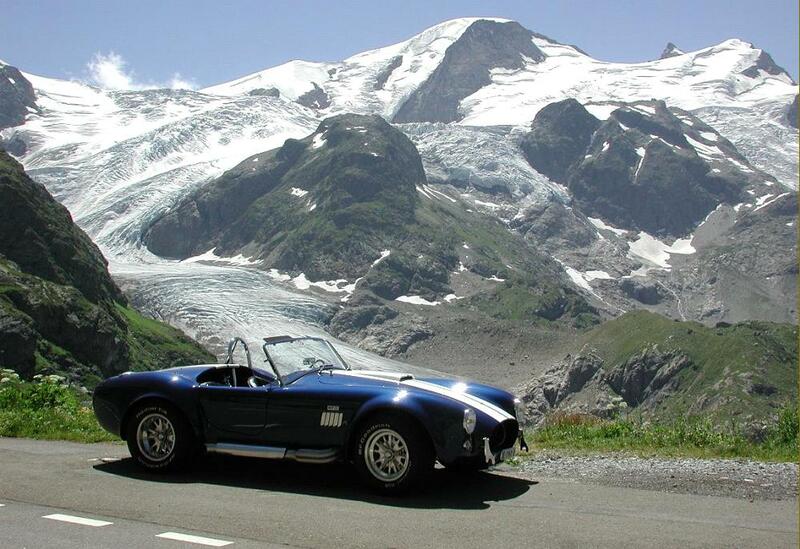 On September 5 in 2002 I opened the container at the harbour in Basel and was so proud to drive home may own Cobra. Since then I am still happy with car and drive it rarely on warm summer days. Greetings to all from Switzerland. 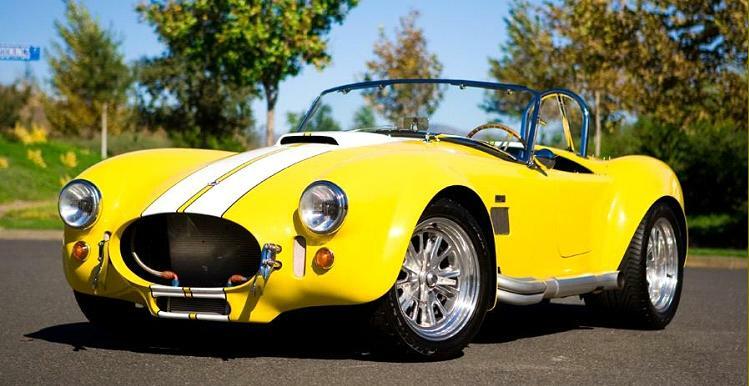 My love affair with the Cobra started in 1965 at a car wash. I saw a 289 silver Cobra that I thought was the most beautiful thing I had ever seen. As the years passed I had a few opportunities to buy an original Cobra, but being frugal, didn't want to take out a loan. So in 65 I bought a Mustang, cash of course, and in 79 I bought a 62 Corvette, again cash. I found the exact car I wanted in Georgia, but it sold over 4th of July weekend. Not to be sidetracked I kept looking and found SPF 1132 on the left coast and bought it, cash of course, and had it shipped to Connecticut. The first time I saw it coming out of the van I knew I had finally gotten my Cobra. The car was all and more than I expected. The only bummer is I spend winters in Florida and the car is in Connecticut. A Corvette and truck take up the garage space in Florida. I only got to take it out 3 times with the lousy weather we had this year in CT, but there is always next year. 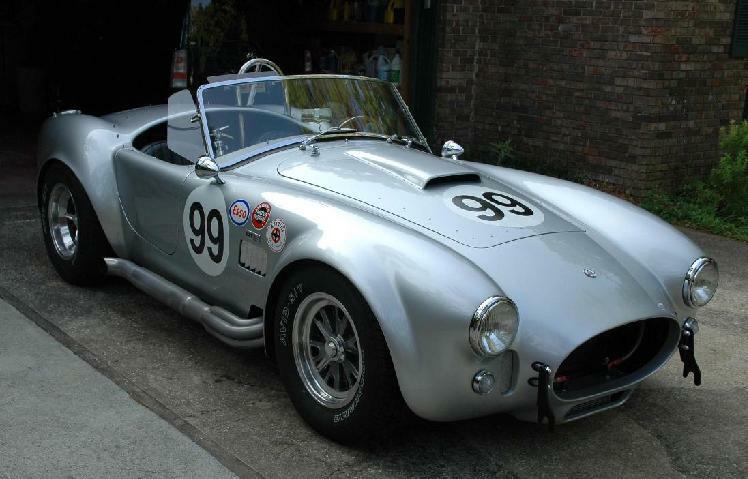 I've always been a car freak and always wanted to own some kind of sports car but did'nt exactly know which one, until one day a friend of mine said his brother is building a Cobra. At that time i didn't know how it looked until he showed me a picture of it. Immediately i knew that this is the car i would want one day. Many years passed until i could eventually afford to buy a abandoned kit that i finished. Sold that after a few years. I was then without a Cobra for three years, when I saw an advert for my present Cobra for sale.I phoned up the owner, and the rest is history. I've never looked back since i bought #058, even if it's an older car ,i haven't had any failure due to that it won't start or any major problems that will push up my blood pressure. It's only a pleasure to drive and to hear the roar of the "Big Block" in your ears down the Highway. With this buying experience i also gained the friendship of the SCOF family, with whom i communicate on the internet, as i'm thousands of miles away in the country where Superformance was born, South Africa. I grew up in a very car centered family in Lexington, Kentucky. The youngest of five (4 boys). All the brothers and friends were muscle car guys in the late 60's & 70's. I was younger and took a great interest in all things automotive. As with most... school, career and family took over. About 15 years ago I purchased my first restoration project, a '66 Corvette Roadster (I still own). Then I went through a string of others (442, GTO, GT350, etc...) I met the guys at Dynamic in Cincinnati when they opened their first shop. Once I saw the Superformance, I was hooked. While I was buying and selling other cars, I always checked out the Cobra's. After I sold the '65 GTO, I decided to start looking for a Superformance. I found #062 0n Ebay. As with a few other cars, I arranged a trip for my son Jonathan (12) and I to New Hampshire. We flew up on a Friday and were on our way back to Kentucky before noon the next day. Beautiful trip till we hit Rochester, NY. RAIN... Hard rain! We decided to Stop for the night. Rain on Sunday through Erie PA. Once in Ohio it was clear sailing. We never put the top up! Great trip, great car! Looking forward to more fun and excitement. I grew up in Detroit during the 1960's car horsepower war days. My father raced Porsche's and was a GM test engineer. There were always new test cars he brought home in our driveway, and he always ensured that they were the high hp variety. 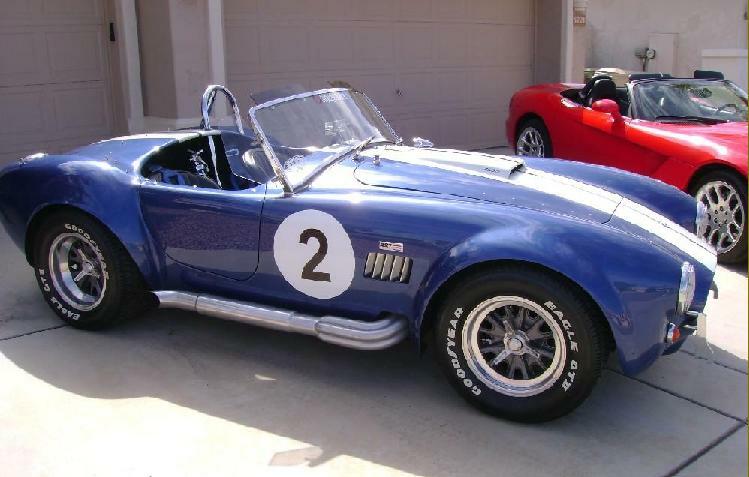 At a local hill climb in the 60s, I saw my first Cobra and it was love at first sight. I was no stranger to exotic race cars tagging along with my father to race courses. However, I was not prepared for the first sighting of a Cobra at one of the events nor the roar of its mighty V8 with open exhaust. My fathers Porsche was quiet as a mouse by comparison. 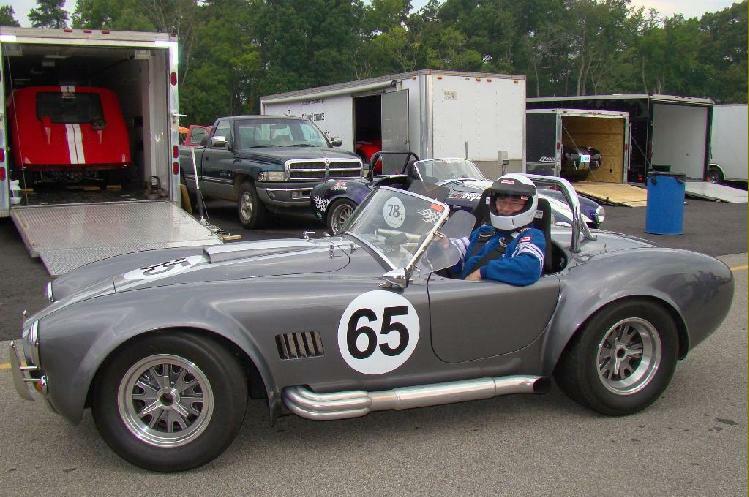 Later I learned that the driver of the Cobra that I saw was known as Gentleman Tom Payne, who did very well on the National SCCA road race courses. Many years later in Spring 2000, I was looking to get another toy car that would be different from my 1965 Mustang convertible and my 1957 Thunderbird. I started looking at Shelby Mustangs, but I already had a Mustang. 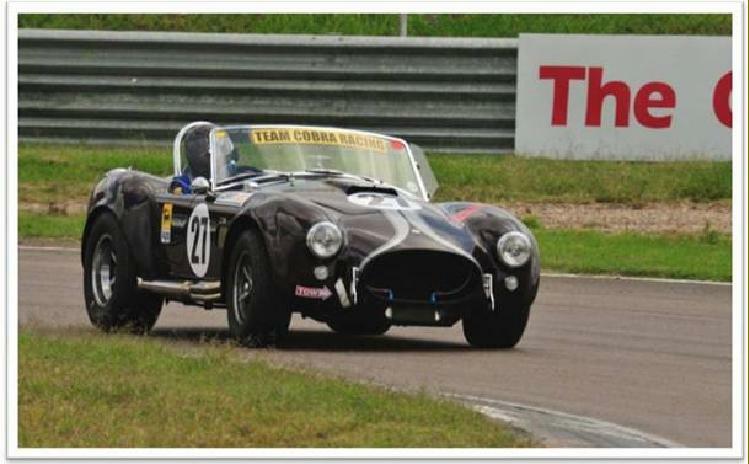 Still undecided, I saw a local adv for a Superformance Cobra. The light bulb clicked on and I said THIS IS IT ! I went to look at it and bought it on my first visit. Old 156 had been a price leader car and a showroom demo car, built in 1996 it was not sold new until 1998. I bought it with only 1,100 miles. The car had no factory or dealer options, it was bare stock. By 1996 standards that meant Ford stock brakes, uncoated but painted side pipes, painted roll bar and fake knock offs. Hey, it works for me. It has been exceptionally reliable, paint looks like new and I drive it rain or shine with many smiles to the miles. I fell in love with the Cobra when it first came out but only from a distance, reading about them made my heart race. In 1967 while at college, my roommates and I were playing cards and there was suddenly a vibration and sound like we have never heard before. We ran to the window to see what was causing it and this thing went by, clearly the source of the experience, and turned in to a sports car garage down the street. 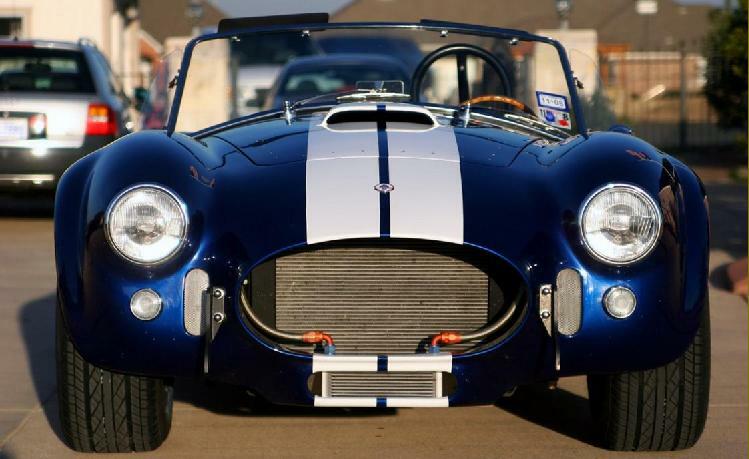 We ran to see what could cause such an awesome sound and feel a real, live 427 Cobra! The and there I had to have one. Fast forward 35 years. The living in Auburn, Indiana a few miles from Kruse Auction. Lots of Cobra replica manufacturers and cars displaying their wares but it is clear to me after a little study that Superformance is the best of the bunch. Took home every piece of literature and video Snakebite would give me got so they recognized me at their display I was there so often. Wanted a big block, blue with white stripes but the day I was selling a V-12 Jag they had a very slightly used black and silver model that was otherwise exactly what I wanted. The Jag sold for an okay I price, I took the Cobra for a test spin in the parking lot (got it a little sidewise with wife in the car oh oh), we dickered a little on price and I looked to the wife for her vote. She started to say you ve always wanted and I had the checkbook out and check written and signed before she could finish the sentence. What can I say? The car has exceeded my every expectation faster, more comfortable, better handling, and MORE FUN than I dreamed. And I would not trade the black & silver for anything else - looks cool and a little menacing and I have tried to keep the black and silver theme but allow chrome and polished stainless. The SCOF group has just been icing on the cake, and very good icing. Great source of humor (sometimes pointed and wicked), friendship, technical and moral support (yes, I know moral support seems an odd concept with this group), and of course good drinking buddies. The shared experience has added immeasurably to the memories of the car. Now on an extended job assignment in China so do not get to drive the car much or attend many events but I am a faithful reader of the emails and scan the pictures and stories avidly. The Cobra is the only thing I still own in the US and I will try to schedule one of my home visits around one of the events so I can get a personal refill of the camaraderie. My neighbour in Texas had this car from new, but did not know how to care for it or drive it (70+ yrs old)...he did not know what he had bought. It was in rough shape when I bought it. Broken shock, leaking gas, dry rotted tires, antifreeze all over, alternator bad, carb severly gummed up, and generally not road-worthy. Sold my 1993 Cobra Mustang and fixed this up and use it every sunny day we can. Had it on Texas Motor Speedway for their Roval days track time...it was a BLAST. My wife and I moved to Virginia and love cruising around in it...will link up with Dennis Olthoff and hit VIR soon. Most fun car we have ever owned. 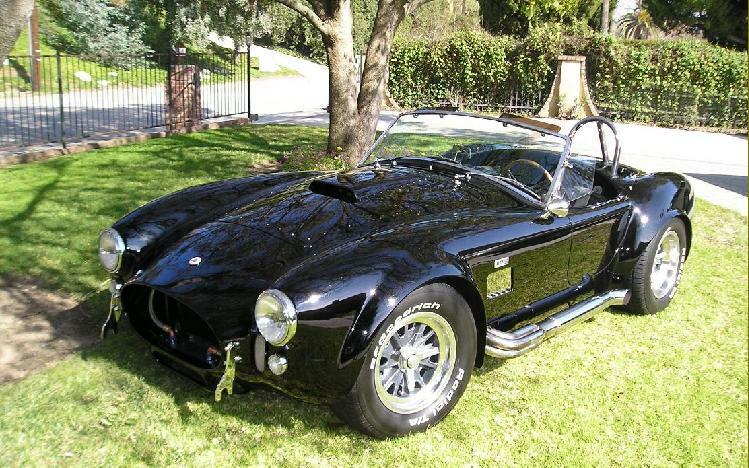 I've always wanted a Cobra since I was a young man watching Carroll Shelby race at Riverside Raceway. Now, retired... I decided it was time. I saw my car on a consignment lot and checked it out. She had been sorely neglected, but had everything that I wanted. I had researched the many replicar manufacturers and knew she had to be an SP by comparison. The frame stamp was covered by the vin plate and the pink slip made no reference to the manufacturer. With help from Superformance here in California I was able to locate her SP identity. I went back many times and bickered over the price. They did not know that much about her or even what make she was, alone the engine and trans. Because it had the original 4 speed top loader ball on the shifter they assumed it was a 4 speed. When I took it for a drive, I found that the pattern for reverse was wrong. Yippy, at least it was a 5 speed. I knew the engine was a rebuilt Windsor with a dbl. pumper Holley, Edlebrock Jr. intake and at the time was not sure what the heads were, but I knew they weren't stock. I knew I had a lot to work with. We came to an agreement and I drove her home for some dearly needed TLC. I described her as a once beautiful woman whose previous owner used her, then kicked her to the curb, leaving her there to rust and die. I came along, picked her up, and began to give here the care and attention she deserved. Now we are dancing together. It has been like an Easter egg hunt in finding what she was really made of. The previous owner had evidently lost all of the paper work including the engine build. In trying to find as much history on her as possible I dead ended at the House of Cobras that was no longer in business. Thanks to the wonderful SCOF members and the use of the SP MKIII manual my girl and I have become very intimate. I needed a project in my retirement and she certainly fits the bill. Her chrome was pitted and rusted (windshield, light bezels, roll bars, etc.). Tons of elbow grease has brought back her style. The side pipes were also chrome and the collectors at the front of the pipes had been spray painted silver, I guess to hide the wonderful patina that lay beneath. Her aluminum (rims, etc.) were dull grey and pitted. Lots of Mothers and her shoes now shine. Piece by piece she is coming back to life. The leather seats were sadly neglected, but with lots of mink oil and black leather dye, you would never suspect it now. I have slowly but surely gone through the engine compartment and have discovered many things that needed replacement. Believe it or not, she came with Vintage Air. My goal is to restore her to the way she was at the time of her build. She is an early model #407 and I have found she is quite unique compared to so many of the later models I compare to when hanging with the other SP owners here in the Valley. The SP Manual is right on. There is still a lot of restoration to be done and I take the suggestions from SCOF members, such as the rear upper shock mount upgrade, very seriously. I do not plan to race her, but want her safe enough for canyon carving. My biggest problem is keeping her up on jack stands for very long. I want to drive her. I'm addicted. This is how she looks now. Purchased from a Dealer in L.A. (but was commission sale). Shipped up to Portland. Fixed several gremlins and completely rebuilt the suspension and fuel delivery system. A good runner, and fun to drive. Several other mods to do in order to get it reliable for longer trips, but nothing major. 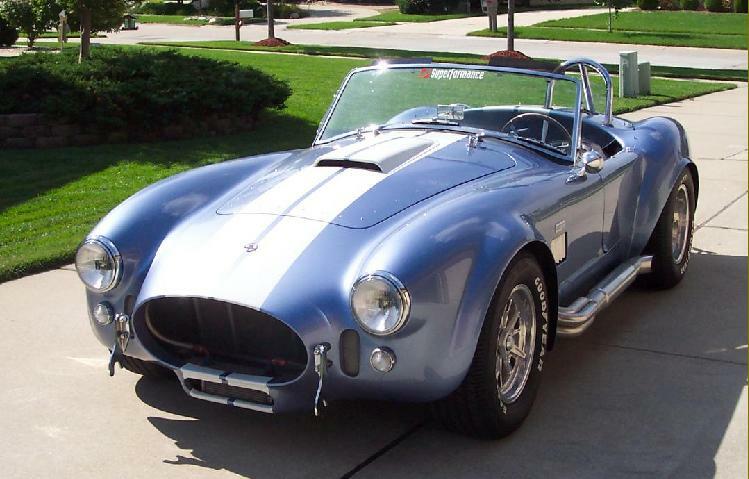 I already have an Indigo Blue/White Superformance Cobra with a 527 big block, and absolutely love it. Two years later, while I was not looking for another Cobra, a friend of mine needed to sell his car for some money and I thought I'd help out by buying the car and holding it for him until he decided to buy it back again. That never happened, but owning a Superformance is never a problem since you will always find a buyer at a good price for one of these cars. One thing I forgot to mention... when I told my wife we were going to pick up the new car that weekend, she says, "what car?" Oooops. I think I might have forgot to tell her. "Well... it's your car, honey! ", I said. As you can imagine, she didn't buy it. One thing that's kind of funny is I never liked yellow. The only thing worse to me was yellow with black. So I got the whole deal. But after a while, I really came to like the color and others really notice it, especially in a sea of blue and silver Cobras. As things go, I quickly added upgrades here and there and pretty soon it was a a really unique car, but before we were going to sell it we decided one late Friday night to take a road trip across the country. We did not know where we were going, we just looked at the clouds in the sky and headed in the opposite direction. A week later we found ourselves having gone through Iowa, Nebraska and as far as deep in the Colorado Rockies. On the way back we passed through Wyoming and Minnesota after spending some time the Black Hills and the Badlands of South Dakota. 3,500 miles and a week later we get home and after unpacking, I asked my wife if she wanted to go out to Dinner. I headed to our Ford Excursion and she says, "Aren't we going to take the little car?" (that's what she calls the Cobra). I thought she would have been be tired of sitting in that little thing for so long but, nope! She missed it already. We both did. During dinner she says "we're not going to sell the little yellow car, are we? I like it now." That's quite a turn around from the week before where she said, "we can't keep that many cars, one of them has to go." So, we decided to sell our immaculate and incredibly fully restored DeTomaso GT-5 Pantera. 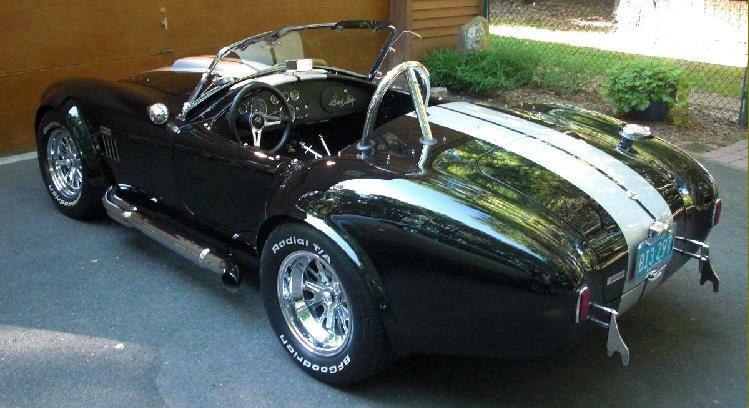 Most would think it would have been smarter to keep just one of the Cobras and the Pantera instead, but the only thing more satisfying than a Superformance Cobra, is having two of them! It's great to have one Cobra that is pristine in show and truly radical in performance, as well as another Cobra sitting there prepared and ready to go anywhere across the country, on any road, at anytime, in any weather as a daily driver. Funny thing is, it still looks as good as any pristine show car even after years of driving down gravel roads, sand, mud, rain, snow, hail and even through river stream crossings, and all it has ever felt was periodical cleaning of the paint with Windex & paper toweling. These cars are just amazing, & still not a squeak or rattle at all. Bottom line is, it's so much more enjoyable working on & driving the Superformance that even the prestige & mystique of the Pantera, was not enough to make it's match. I always thought the Cobra was the baddest car ever made but never really believed that I could own one. 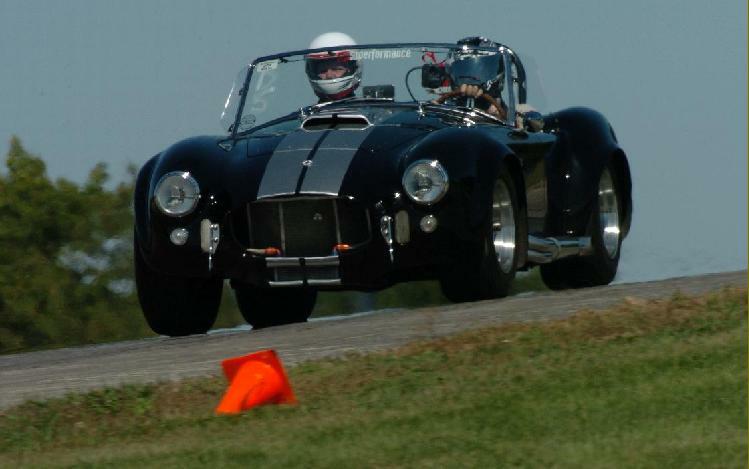 When I finally became financially capable of thinking about a hobby car, the Cobra was what I went after. I researched for several years but when I stumbled across the Superformance, I grabbed my checkbook and became an owner on the first visit. The fit and finish was unbeatable in anything I had looked at (and I looked at most of them). Furthermore, I did not have the time or inclination to build one and wanted a turnkey. This decision was a no-brainer once I found Superformance. AND, now after 10 years of ownership and many miles, I could sell it for close to what I have in it. It is the least expensive car I have ever owned. I only had one primary concern when I made the purchase. Would the thing keep running and if not, where would I get it serviced? Well, I quickly learned that the car is bullet proof. I have over 50K trouble free miles. More importantly, I learned that I had a dealer network and manufacturer that stood behind the cars with plenty of parts, capability and desire to keep owners happy. Yeah, I have had a couple tiny issues (no worse than my other 5 cars) but Superformance has distinguished itself as the most customer friendly company I have ever worked with. Just as important, Superformance has an owners network second to none. With SCOF (Superformance Cobra Owners Forum) there is not a question that cannot and will not be answered within minutes after it is asked. Better yet, if I counted my very best friends in the world, half of them are people I have met through SCOF. I have seen the owners rally to the aid of others over every conceivable subject from car issues to family concerns to losses of loved ones to financial support and any other meaningful challenge one might face. It is truely remarkable that this great brotherhood could be born of a common hobby car. 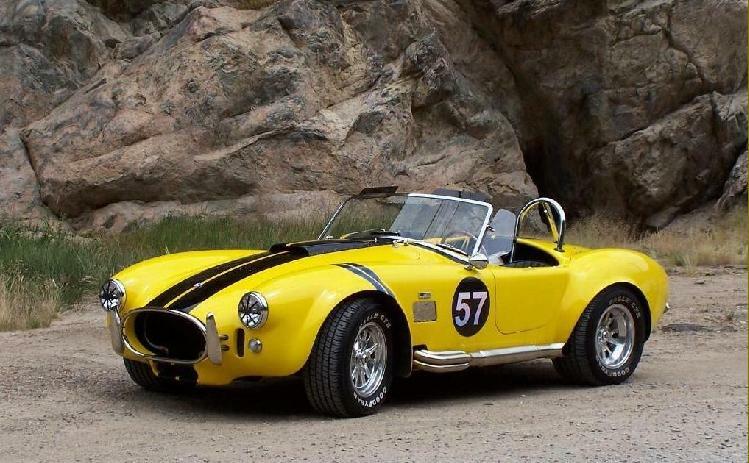 I have thought of buying another hobby car but my SPF Cobra has been so pleasurable and trouble free, the thought of something new is always fleeting. I know one thing though, IF I ever buy another hobby car it will be a Superformance and I will have my family of fellow owners to share it with. Finally, the regular Superformance owner cruises and meetings all over the country take up all of my vacation time. I have cruised the mountains of Colorado, explored the Badlands of South Dakota, parked in front of Mount Rushmore and Devil's Tower, run the hillsides of Branson, experienced the Smokie Mountains, made several "no car" trips to Las Vegas, run race tracks across the country, visited Glacier National Park, Hell's Canyon, Route 66, Idaho, Oregon, Washington, Montana and the list goes on and all sponsored by and shared with my SCOF buddies. 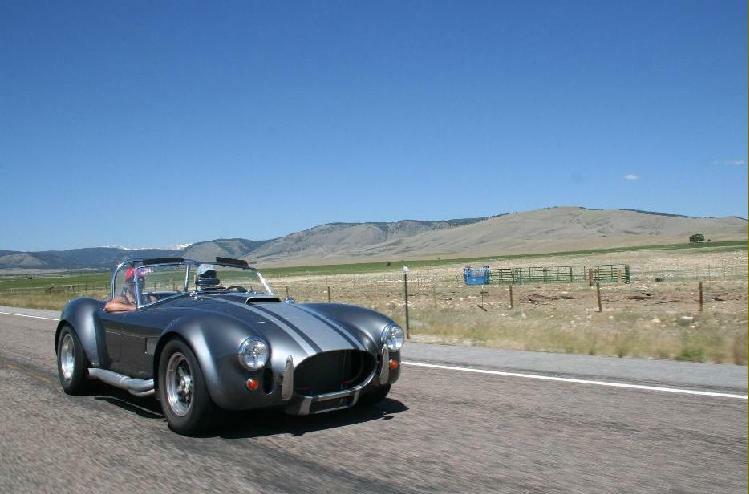 There is nothing quite like exploring the world in a Superformance Cobra. I was high school age during the early 60's & loved Corvettes & Cobra's. 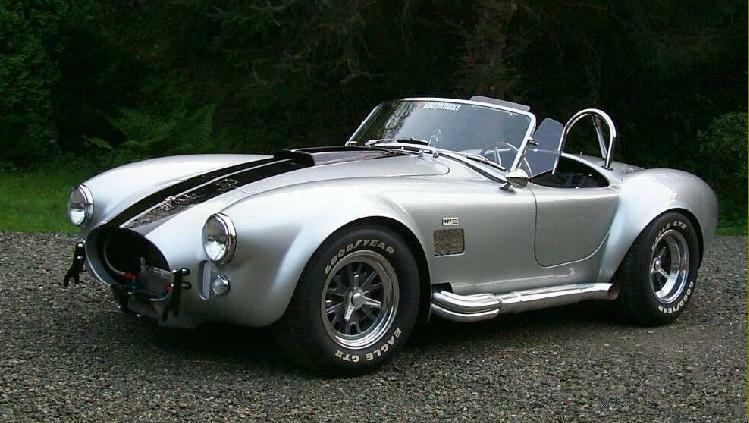 In 1973 I bought a 417 Corvette coupe & in 2005 I finally got my Cobra. For years I had researched the idea of buying a kit Cobra & doing the build myself. But my career at GM involved many moves to many different areas of the U.S. It was a big enough bother to drag one extra car around, so I never got to the Cobra. In the summer of 2005 my son & I went to the Good Guys car show in Columbus, OH & Dynamic had a display there. I spent a lot of time talking to the folks from Dynamic & made up my mind that I was going to buy a roller from them & do the drive train myself. I returned home & rambled on & on to Cindy about this great car that I needed to buy. It didn't go over real big but several days later she's reading the paper & says "what was the name of that car you wanted to buy?" I said a Superformance! She says there's one for sale here in the paper. Of course that was the last time she had the paper in her hand. I called the guy in Ann Arbor & went to see it the next weekend. It was everything & more than I was looking for. The next weekend #600 was in my garage. Since then I have had the pleasure of meeting many of the SPF owners in the Detroit area 7 many others in Las Vegas in 2007. 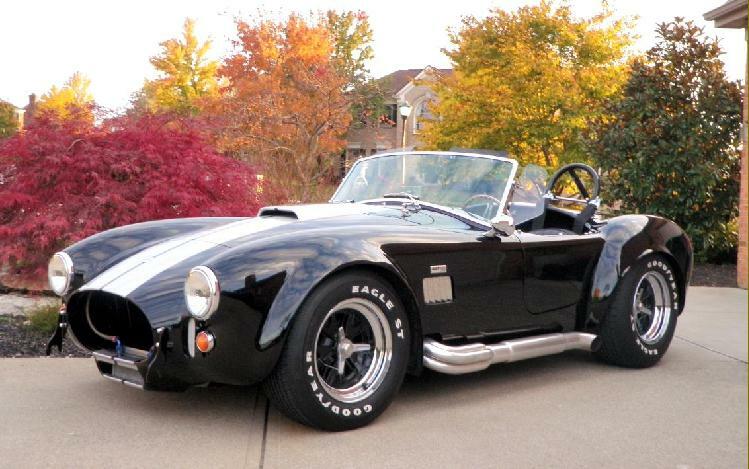 I have yearned for a Cobra since 1965. In 1998 I started looking conservatively for a used FFR. After 2 years of research, visiting numerous shows and talking to a lot of owners, I decided an SPF was the way to go. For value, resale, quality and durability SPF was it. Then it took me another 6 months to find my dream. I came across #667 by accident on a visit to my brother in Fort Wayne on a day with nothing to do. I intended to look at a privately owned SPF but the owner was suddenly out of town. It was love at first sight. Color combination, Big Block, OH YEAH! Bought it that day. Took another 10 days to get her home. This was a demo car for Dynamic. They had to get another one. "Babe" is still the first thing I check on in the morning and the last thing at night. SCOF turned out to be an unknown great benefit I look forward to every day. All of our guys are great! As a 60's guy, owned and drove several muscle cars, and a '67 GT500. Ran with a guy who owned a slabside 289. One day, while having the carbs tuned, the dealer asked me if I wanted to go out to lunch. Sure. Next thing I know, he has a new Cobra 427SC pulled out of the showroom, up to the door, and away we go. Lunch turned out to be at his home way out Marine Drive, about 10 miles. Needless to say, he showed it off a bit. I was traumatized for life. Fast forward to 1999. My wife surprised me with a trip to SoCal for my birthday, with stops at HOC, and a visit at some new dealership owned by a South African guy, who gave me a ride in a brand new turnkey Superformance. The die was cast, except the sales regions were set up so a car to Oregon had to come from Dynamic in Ohio. So, a call to some more guys with South African accents, and soon I had a Cobra on the line at the factory. Oddly, the guy who sold me the car was Coach Barber, who coached football in Portland years before, and remembered me from the Central Catholic H.S. team who won the league and played in the state final my senior year, as a skinny defensive halfback. That and $32,400 and I was good to go. A longblock 408 motor from Coast High Perf. in Cal. and a special-constructed AOD from Art Carr in the crates, and in July of 2000, the thrash began in my shop. Took me a year pretty much solo, but soon, down the road. The rest is typical history. "I won't be wronged, I won't be insulted, and I won't be laid a hand on. I don't do these things to other persons, and I require the same from them." ...John Wayne - "The Shootist"
I've always admired the Cobra shape and aura that surrounded it since I was a young lad with nothing more than a bottle of glue and a plastic model. I remember guys with the big, powerful Hemi Cudas and Mach-I's ruling the streets, but just the mention of a "Ford Cobra" sent them quaking in their boots with both fear, and respect. 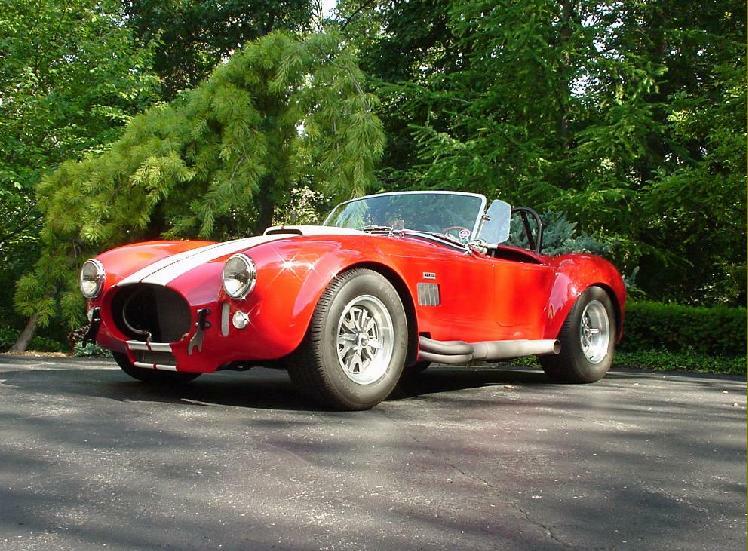 When it came to all out brutal raw power, the word "Cobra" was synonymous with that. While I knew I could never afford a real one, I also knew I'd never have the time to build a kit. And like most, I did my research over months which turned into years. When I finally was able to afford my dream, I sat in other brands of kit cars and while they had an awesome customary blue/white paint job, the interior and attention to detail just screamed "cheap" and "fake". I eventually discovered that Superformance had by far the most impressive offering while being both authentically accurate where it needed to be, and technologically modern underneath where it really counted. 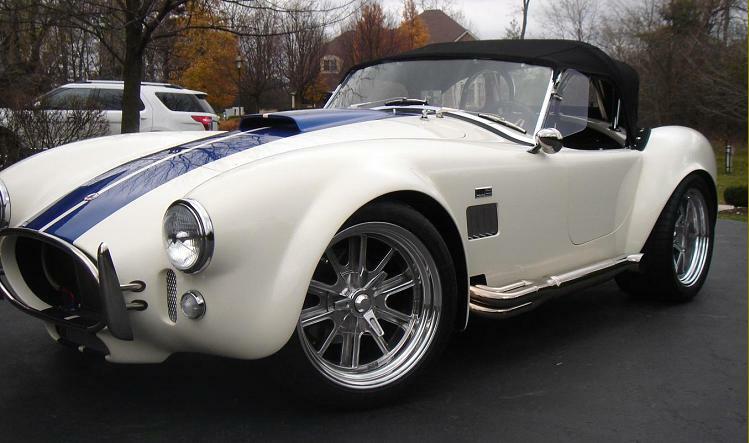 As luck would have it, soon after a friend offered me the chance to buy an original 289 Shelby for an incredibly cheap price, but after a close comparison the seller says to me, "you'd be much better off buying a Superformance... that's what I plan to buy after selling this original one". That was it. I bought my first Superformance. Being a professional race car and off road race truck designer and builder, I came to the conclusion there is no way that even I could come close to paralleling the design and perfection and componentry for even twice the price that Superformance already did for me. While I saw only one Superformance from afar prior to this, I bought and ordered mine sight unseen, and a few months later when finally meeting my purchase, my expectations were exceeded far beyond my imaginations. While I would not yet know it, I would be one of the first to put the Superformance to the ultimate test. At Road America, to avoid hitting another slower car pulling in front of me, the back end came loose and my car hit three concrete walls at well over 1xx mph before sliding hundreds of feet to a stop with a destroyed the car... but not so much that it still couldn't be rolled onto the trailer, and the doors (which were the only undamaged sections) still opened freely. I or my co-pilot were not injured and upon later inspection, the car held up wonderfully and clearly it's robust construction saved mine and my passenger's life. Another Cobra brand owner came up to me and said, "you're lucky you were in a Superformance, that's why you are still alive, because if you would have been in that other Cobra kit car sitting over there, you'd be dead. I know, because that one's mine." The car held up so well, it was later sold and the new owner repaired it himself and it's back on the road again. Within hours word got back to Dean Rosen at Dynamic Motorsports and he called to make sure I was alright, and Ronnie Kruger, Superformance CEO in South Africa contacted me to let me know if there was anything I needed, he and the owner of Superformance (Hi-Tech), Jimmy Price, were eager to help out in anyway they could. Superformance is more than a car, it's an entire extended family across the world. When it came time to buy another car, my choice of another Superformance, took no hesitation. None, at all. A few months later I had my new Superformance in my hands, ready to continue the fun. Thanks to Superformance, what could have been tragic turned out to be terrific. I fell in love with the Cobra when I was 10 years old. 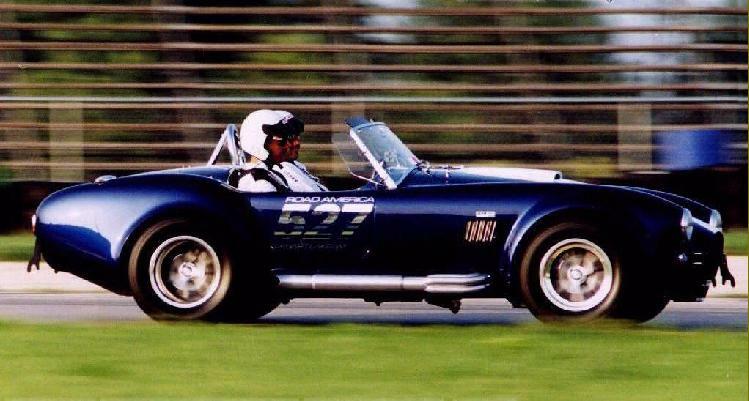 Mom and Dad raced Formula Vees in the '60's and I watched a Cobra blow off all the Corvettes at Blackhawk Farms Raceway. It was no contest. It took 38 years and a very understanding wife before I had one in my garage. I was so thrilled to finally obtain my dream car. My wife, Peggy, even cried for me when the car was delivered. She still catches me in the garage, sitting in my car, making "vroom-vroom" noises. I drive the car a lot, mostly spirited cruising, road rallyes, and a few track days. We belong to the Deep South Cobra Club and attend most of the events. The Superformance replica is a very fine automobile. 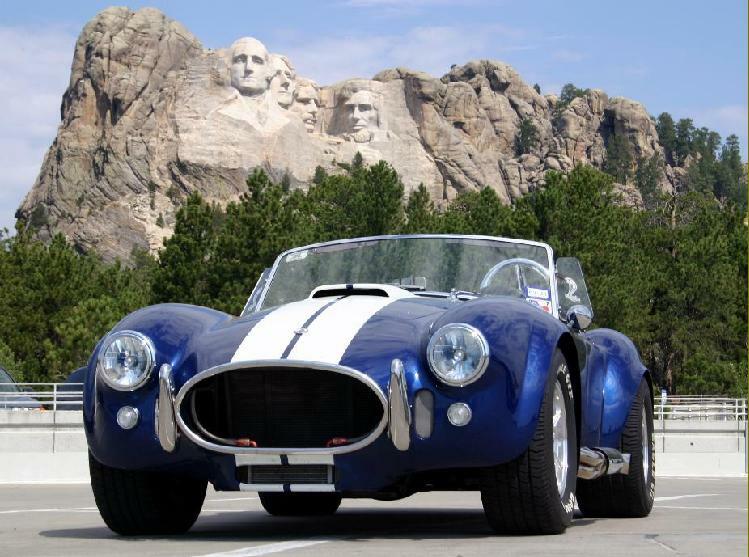 The attention to detail, the rigid chassis, the flawless paint, the trueness to the original, supportive dealers, and especially the Superformance Cobra Owners Forum (SCOF) make this car truly special. The brotherhood on this forum is simply amazing. Mr. Thomas' trips and get togethers allow us to make friends all over the country and drive these wonderful cars on some of this country's most beautiful roads. I love this little car.